What method of electricity generation is cheaper than solar, wind, oil or even coal? Trick question; it’s energy you don’t need to produce in the first place. 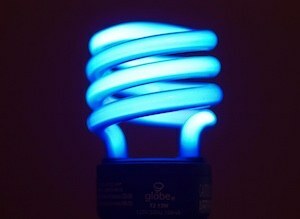 Energy efficiency programs aimed at reducing energy waste cost utilities only about 3 cents per kilowatt hour, while generating the same amount of electricity from sources such as fossil fuels can cost two to three times more, according to a new report by the American Council for an Energy-Efficient Economy (ACEEE). The report, "The Best Value for America’s Energy Dollar: A National Review of the Cost of Utility Energy Efficiency Programs," looks at the cost of running efficiency programs in 20 states from 2009 to 2012 and finds an average cost of 2.8 cents per kWh -- about one-half to one-third the cost of alternative new electricity resource options. The report analyzes energy efficiency costs from states across the country, including: Arizona, California, Colorado, Connecticut, Hawaii, Illinois, Iowa, Massachusetts, Michigan, Minnesota, New Mexico, New York, Nevada, Oregon, Pennsylvania, Rhode Island, Texas, Utah, Vermont and Wisconsin. The report says each dollar invested in energy efficiency measures yields $1.24 to $4 in total benefits for all customers, which include avoided energy and capacity costs, lower energy costs during peak demand periods like heat waves, avoided costs from building new power lines, and reduced pollution. At an average of 35 cents per therm, natural gas utility energy efficiency programs are less than the current average price of natural gas (39 cents per therm in 2013), the report says. These figures represent a large number of diverse jurisdictions across the nation -- 20 states for electricity programs and 10 states for natural gas programs -- and show that energy efficiency has remained consistent as the lowest-cost resource, even as the amounts of energy efficiency being captured has increased significantly. Formatting, nomenclature and frequency of efficiency program reports vary significantly across jurisdictions. ACEEE recommends that states adopt best reporting practices to improve consistency and transparency of the data. This supports a May 2013 Ceres report that claims energy efficiency could be a several hundred billion dollar investment opportunity in the United States. However, the report argues, better policies are required to unlock broad-based financing from institutional investors. The report details the results of a survey of nearly 30 institutional investors and other experts from the energy, policy and financial sectors that identified three areas of policy: utility regulation, demand-generating policies and innovative financing policies. The study finds that these three areas have the potential to take energy efficiency financing to a scale sufficient enough to attract significant institutional investment. Energy efficiency is something everyone should be able to agree on, even for those who continue to deny climate change. The U.S. government may be unable to enact meaningful climate change legislation, such as a tax on carbon, but few could dispute the economic merits of increased efficiency. The U.S. lags far behind many other developed nations in energy efficiency, according to a 2012 ACEEE report. But this means there is much room for improvement. Researchers at the U.S. Department of Energy's National Renewable Energy Laboratory say the U.S. can double its energy productivity by 2030 — and do so in ways that bolster the nation's economy.